Facing criminal charges is a stressful experience whether it is your first time or you have been through the experience before. No two situations are the same and many variables will impact the eventual outcome. This makes it critical that you have an advocate fighting to make sure your rights and best interests are being protected throughout the process. Call Bowen Ten Cardani to discuss your Virginia criminal defense needs with a lawyer at 804-767-6850. At Bowen Ten Cardani, our criminal law attorneys bring over 75 years' experience that you can rely on. We know what is at stake for you if you face criminal charges. That is why we are dedicated to providing the most effective criminal defense available. We are skilled at building exceptionally strong cases designed to protect your rights, clearly identify and attack weak points in the prosecution's case, and help you ultimately secure the best available resolution. Apart from the immediate and obvious consequences of a conviction, such as jail or fines, there are many less obvious consequences that can have an impact over the long run. Securing employment or even a lease may be a challenge with a criminal conviction on your record. More and more employers and landlords use background checks that will detect a conviction. When you are facing criminal charges, it is important that you have a criminal defense lawyer you can trust. 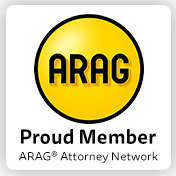 From law offices in Richmond and Ashland, we serve clients throughout the region. Schedule an initial consultation with one of our criminal defense attorneys. You may call us at 804-767-6850 or reach us online.